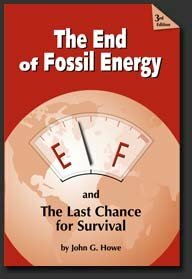 A couple of months ago, I received an e-mail from John Howe, author of the book The End of Fossil Energy and the Last Chance for Survival. He indicated his concern that the public is not getting the message on Peak Oil, and he asked if I would be interested in receiving a copy of his book. I accepted his gracious offer, which I received in the mail a few days later. A couple of weeks later, I read it on a flight to San Francisco. There is something in the book for just about everyone, but I would especially recommend it as an introduction to the topic of Peak Oil. I told John I would post an essay here in order to help get his ideas out there. He has a 20-page White Paper that you can download here. I will post some excerpts from his White Paper below, but first I wanted to make a few observations. There were a couple of things that really impressed me about John. 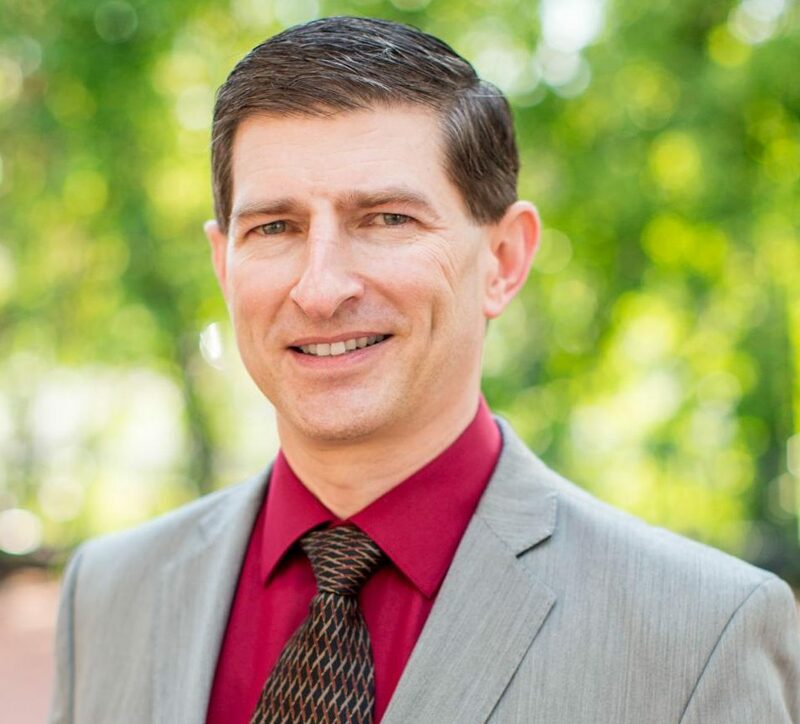 First, he has laid out a plan for transitioning to a sustainable energy future. He calls this plan “The Five Percent Plan to Energy Sustainability”, and he covers the details in Chapter 5. By actually committing a plan to writing, John is probably ahead of the vast majority of us in this debate. Most of us have various ideas for what we need to do to achieve sustainability, but I am sure that few of us have put as much thought into it as John has. The other thing that really impressed me is that John practices what he preaches. 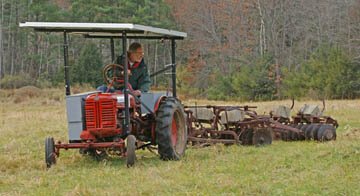 He has built three completely solar-powered vehicles, including a 1962 MG Midget and a tractor he uses on his farm. He goes over some of the technical details in one of the appendices of the book. The experience John is gaining with his solar-powered vehicles can be a valuable asset to the world if we will learn from him. If the world had more John Howes out there, I wouldn’t be nearly as concerned about the challenges facing us. Each time the price of oil and gas ratchets a little higher, the mainstream media gives sporadic attention. Unfortunately, the message the public hears is a blend of obfuscation and short-term excuses such as inadequate refinery capacity or terrorist activity in producer countries. (See “We Were Warned” on CNN, March 18 and 19.) As usual, media coverage is “balanced” by conflicting optimism. See page 12 for the usual delusions. Very rarely is the concept mentioned that the world just might be running out … forever! Very few, big business, the media or most elected leaders can fathom or admit that the oil party is over. We’re now faced with a giant hangover. As with any addiction or terminal-illness prognosis, the first reaction is denial. How can this be? Our entire economy (and our personal plans) are built on never-ending growth fueled primarily by oil. As reality sets in and logic rears its ugly head, the next response will be … depression, “gloom and doom”. Next, we obviously must begin the weaning process without substitution of hopeless quackery. Finally, a proactive search for honest answers and solutions brings back some optimism even if the best first hope is to encourage others, to join a mass movement of public awareness. Remember, our addiction to oil is only a visible part of the other interrelated problems of excess population and ecological devastation. • Hydrogen-Hype: Now quieting down. Most people understand it has to come from fossil fuels, or if from renewables, is a terribly inefficient way to use precious non-fossil-sourced electricity. In addition, it is very dangerous and technically difficult to handle and store in compressed or cryogenic form. • Biofuels (exclusive of wood): Sunlight is very dilute and sporadic. Expecting the annual solar energy to replace the millions of years of concentrated solar energy in fossil fuels is impossible. As the fossil fuel base (nitrogen fertilizer, diesel fuel, irrigation- energy, etc.) for our food supply winds down, we will need ALL the biomass energy we can find just to feed ourselves. Also, biofuel production (esp. ethanol from corn) requires about as much fossil energy input as the resultant energy yield. The energy returned on energy invested (EROEI) is too close to unity to be worthwhile. Finally the intensive monoculture of crop land is not sustainable. • Wood: Somewhere between dilute annual sunlight-energy and concentrated fossil fuels is wonderful wood. But, it takes 50 to 100 years to grow a reasonable tree. Harvest at a quicker rate only depletes the forest, soils, and ecological balance. This signals the end of a civilization and is happening the world over and exacerbated; by increasing population and fossil-fuel powered harvesting equipment. • There’s Plenty Left: We are now using about 6 barrels of oil (at one billion barrels, worldwide, every 12 days) for every single new barrel discovered. Natural gas is not far behind and can’t be shipped overseas except as liquid natural gas (LNG). Coal and tar sands are more plentiful but contribute heavily to eco devastation and will soon approach an EROEI of unity, especially as oil runs down and the harder-to-reach, dirtier sources are mined. • Efficiency Will Save Us: Only if we concurrently reduce consumption (reverse growth and population). In most cases improved efficiency increases consumption due to increased value and numbers of consumers. (“Jevon’s Paradox”) In the long run, we must survive with no fossil energy at all. • Other Sources: Nuclear, hydro, geothermal, solar, and wind are all legitimate. But, except for solar and wind, all are limited by site availability or in the case of nuclear, finite fuel and waste problems. Total energy will be much less without fossil-fuels. • “Pie in the Sky”: Abiotic oil, nuclear fusion, methyl hydrates, shale oil, perpetual motion machines, etc. None are proved. The Three fossil fuels (oil, coal, and natural gas) represent a non-renewable “bank account” being drawn down at an annual rate leading to complete depletion or the point of negative energy return on investment (EROEI) in less than one lifetime. This prediction can be challenged but more optimism will, in no way, change the obvious threat of the “Triple-Crisis.” New unexpected discoveries might provide extra time and a better chance to effect a transition protocol to less population and a much lower-energy future. However, the desperate consumption of additional fossil fuels will only exacerbate the global warming component. A sustainable future can only come from sustainable, clean energy. The best bet for continued, clean electricity on a large scale. But, sources of finite, fissionable uranium must be found and ultimately mined without cheap fossil energy. This scenario also assumes that acceptable waste disposal and protection from terrorism can be assured. Also, nuclear, like all other non-fossil energy sources except biofuels, produces only direct electricity. No matter what energy sources we use we will need a complete rethinking of our transportation system. Limited to acceptable sites nearly all of which have been used. Global warming has reduced water flow and electrical output in the last decade. Considerable fossil energy is required to replace dams, which ultimately fill with silt. Reversible pumped hydro at 85% efficiency (as well as nuclear) can be used to smooth the sporadic output of solar and wind. Only for absolutely essential needs as liquid fuels, lubricants, etc. and with full understanding of the required energy input and the deleterious effect on crop land and food supply. See pages 7 and 12 for more details. Waste products will decline as a source of fuel because the original energy sources are finite and depleting. All are site specific and cannot be scaled up to be of importance. A true, clean source that can be scaled up extensively especially while fossil fuels are still available for manufacture and installation. Sporadic electrical output could be smoothed by working in concert with solar PV and other available sources. The best modern technology providing direct electricity on a local or centralized basis. Very dilute and sporadic but infinitely scalable and especially applicable to residential use as well as direct solar-powered tractors and cars. In all cases, the weak output needs to be coupled with battery storage and/or other sources. This is our best bet for a long, clean future including agricultural power and transportation. Small urban and suburban farms could use approximately 100 volt tractors with integral solar-panel arrays and large battery-packs. Huge commercial farms might better use a large portable separate array of 4 to 8 kilowatts peak power (300 to 600 square feet). With a 200 ft. #8 cable, this concept would allow working up to 3 acres almost on a one to one energy basis as long as there is direct sunlight. The portable central array could be moved to a new location or brought to the farm buildings in off-season. The high cost and availability of PV will require a 50 year scale-up from present minuscule levels. We need massive investment in solar PV and lead/acid battery recycling facilities. 1. Strive for a balance between peripheral AGRICULTURAL land, which can sustainably supply food for the farmers and community center inhabitants. This food supply will ultimately rely ONLY on manual or draft animal power, solar-powered tractor power or biofuels made locally, IN LIEU of food. Fossil-fuel based fertilizer, herbicides, pesticides, and irrigation will diminish. 2. Transportation energy will become unavailable except for electric or muscle power. Therefore the furthest distance to a community center would be a radius of about 20 miles. Present U.S. arable land of about 300 million acres will not be able to provide for 300 million inhabitants at today’s rate of 10 energy units of fossil fuel input for each single energy unity of food output. Ideally a 20 mile radius (800,000 acres) with one-half (400,000 acres) perfectly arable land could support 250,000 people with approximately 200,000 in non-agricultural roles. The others 50,000 would live on 10,000 farms, each with approximately 80 acres with one-half tillable. The other half of the land would be forest, green space, and recreation area. On this basis, a downsized U.S. population of 250 million people could live on 1,000 such community centers utilizing 800 million acres or about one third of the total U.S. land area. 3. The community center will provide the energy -mixing hub for surrounding self-generating residential energy services as well as centralized energy sources. It would also be a community center and transportation hub for intra-city electric-rail travel and shipping, which may also connect to traditional water travel routes. The above model is only an idealized form. Obviously our present urban and rural structure WILL HAVE to gravitate in this direction as any other arrangement has to be compromised by the available food supply and limited by local and long-distance travel requirements. Food production and travel (movement of people and/or commerce) will be the greatest challenges of the future. Domestic heating and power are a little less serous but still very difficult. Reduced population (see page 13) is essential to implementing a 50-year plan based on relocalized community living. Traditional walkable urban centers are obviously a key part of the low-energy community concept. 1. Continue to educate yourself about energy, population, and ecology. Don’t be misled into complacency by the delusions (page 12). Tell others what you’re learning. 2. Drastically decrease your personal gasoline consumption. (One-eighth of the world’s petroleum goes to American motoring). This will save money as prices steadily rise. If you can’t afford a hybrid, buy one of the many cars that get 35 mpg and drive half as far. This is the easiest first step. 3. Plan to heat only a core area of your home (kitchen, bathroom, laundry, and living area) to less than 65 degrees F for the winter months. Wear much warmer clothes. Three hundred square feet per person would be luxurious for 99% of the world. Rearrange water pipes and insulation accordingly. In hot climates, rearrange living area into a cooler zone (cellar, breezy area) to minimize air conditioning. When the weather cooperates, you can expand back into the rest of your home. All of the above will require only a minimal expenditure, not rebuilding. 4. Grow a garden. Dig up the lawn, fertilize and build up the soil. NOW! It takes a few years to get up to speed. Remember one acre could be a commercial farm in China. You’ll be healthier and happier than riding the lawn mower. Learn where food comes from and how to store it. A good part of suburbia is built on good farm land. Buy a copy of Mother Earth News. 5. Get the kids involved and start your own solar photovoltaic system. A couple 150 watt panels, charge controller, batteries, and 1000 watt 120-volt inverter costs about $3000. Don’t worry about inter-tieing with the grid. This will be your educational and emergency back-up system. Check state incentives. Mr. Howe seems to be suggesting that it is more energy efficient for many to live in houses on low density suburban small, farmed plots than for many to live in apartments on high density urban plots. I wonder whether this is so. I wonder whether the energy saved in sharing walls, having a much shorter distance to the food and energy distribution centers, etc. saves more energy overall. To be sure, the farmed suburbia model means the freight energy use is minimized if it has at most 20 miles to travel. But if the freight energy is increased, but the “to the store” energy is decreased, is there a net energy gain? Just a thought. My impression is similar to yours, but I have seen this issue debated. In my opinion, compact, walkable cities surrounded by farmland is the best societal model. This is very similar to what you see in Europe, and they have made very efficient usage of their land. Not so. Most waste is not, it is fuel that can be recycled and used. Victory Gardens, just like WWII. Give me a break. A program of systematically reducing the standard of living of the vast majority of Americans has no sales appeal. I think that it is neiter necessary nor desirable. Nor do I think there is any chance of it being politically viable. Things are changing. I don’t believe we can continue to drill and mine our way to prosperity as we once did. And we can’t seem to rely on our elected officials to do the right thing. It seems that campaign contributions by oil and coal lobbyists have really messed things up in that respect. It seems that as individuals, we’re going to have to take care of ourselves and our neighbors. Your Personal Action Items are right on the money. I’ve already installed a PV system, and I supplement my heating system with a corn-burning stove. I also grow a large garden each year. I hope to have an alternative to the gas I burn in my car in the not-to-distant future. I write about my experiences on my blog. I hope that my efforts will benefit others.